There are some basic concepts that all fantasy footballers should understand when developing their drafting strategies. Becoming a winning player at daily fantasy sports takes discipline, well-planned strategies, a lot of research, and of course some luck. 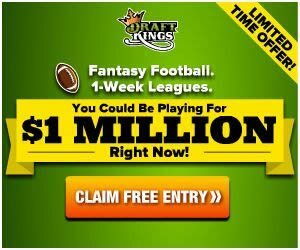 Winning daily fantasy football real money leagues is not like winning a jackpot on a slot machine. Many players have already lost as soon as they’ve drafted their first couple of players. Check out our basic strategies below so you can start becoming a winning player. When first starting out in daily fantasy sports, the first thing to do would be to familiarize yourself with a particular site’s scoring rules as each site will have different variations of this. These subtleties can definitely help with determining lineup creations. For example, in .5 point per reception (PPR) sites like FanDuel, possession receivers and passing backs will carry less value than on full PPR sites, like DraftKings. Also, for many reasons you will not have the same lineup on different sites, although you may share players across these lineups. Another issue when making site comparisons for a particular week, player salaries will often vary in value from one site to another. One site may have a particular player salaried low compared to that same player’s value on a different site. This may make for a smart value pick on one site where not on another. Most sites allow for downloading all the weekly players and salaries to a .csv file, which would make evaluating salary comparisons offline much easier. Some sites have a “create a lineup” feature which is a great time saving tool for entering multiple contests. You can create your base lineup for multiple start times, just once. This will be mandatory if you plan on entering a particular lineup in multiple contests. For example, DraftKings has this feature. Here’s a tip for creating a lineup on FanDuel. Currently, you cannot create a lineup on FanDuel prior to entering contests like on DraftKings. So if you find yourself entering a tournament contest, you drafted your lineup, hit enter, only to be rejected because that tourney got filled up before you finished your lineup, just take 20 seconds to create any lineup and enter it. Once you joined the contest, you can always go back and edit your lineup at your leisure prior to the game start time. No one can afford to waste time re-creating lineups unnecessarily when that time would be much better spent on research. Determine how much your total bankroll for the season will be. Divide this amount by the number of weeks you plan to play, and now you have your weekly budget. Do not stray from your weekly budget as much as you would do so in your personal finances. Getting familiar with a particular site, their contest types, and your own personal development in skill and knowledge will take practice and time. Play in as many free contests as possible as this will give some basic experience to build upon. You will get to see the winner’s lineups and there can be much to learn from examining what types of lineups are throttling yours from contest to contest and week to week. Especially, if you can find some shark type players like CONDIA in a particular contest, you can gain some valuable info on how the sharks construct their lineups and start to figure out why. Hindsight is always 20/20 but once you can identify past oversights, log that mistake never to be repeated again into your strategy, and you will be better off today than yesterday. Start off with the low buy-ins first and work your way up from there. A general rule of thumb, the weaker players will tend to play at the low stake contests. This would be a good baseline point in gauging your performance. Expect the higher and high stakes games to be more shark infested waters. This is a season long grind, not buying a lotto ticket every week. There will be much to learn from week to week, and the more practice and experience you get, the better you will become. But practice and experience will have a cost, especially initially. A great way to help minimize the cost of the early learning curve would be to maximize the initial deposit bonus. Most sites will offer 100% matching of your very first deposit, but you only get this matching bonus one time. If your bankroll is going to be your first deposit, then double it as it will take some time to work your way to getting the bonus. So again, this is a grind and there will be a cash cost but taking advantage of a site’s doubling your initial deposit is the most cost effective move. This is the other factor in cost…time. The first of this mandatory step is to stay up to date on current events on a daily basis. Knowing the status of injuries and how severe may have rippling effects on that players team. For example, if you enter a contest that starts and locks your entire lineup on Thursday night. If you have some questionable or iffy player(s) scheduled for Sunday, and then find out Sunday morning these player(s) are last minute inactives, or on a snap count limit, etc., well this contest entry is probably hosed from the get go. 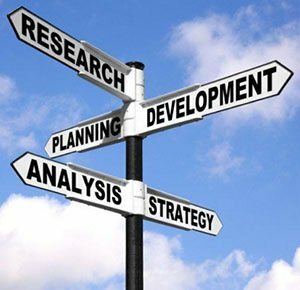 Research basic team philosophies on both sides of the ball to get a feel for that teams player usage. For example, on offense, is a particular team pass-oriented, run-oriented, balanced, or matchup scheme dependent, its strengths/weaknesses? On defense, is a particular team blitz heavy, tendencies toward man coverage, zone coverage, strengths/weaknesses? Then know the players, what they do/don’t do, strengths/weaknesses, usage patterns, etc. For example, some running backs play all three downs. Some backs only play rushing downs and some backs only play passing downs. It would be prudent to know which players fill what role for their teams. This would help anticipate which player would have a better opportunity in a projected game flow scenario. During the winter months, researching weather conditions in the outdoor stadiums would also be prudent for game flow scenarios. For example, at FanDuel, you have to start a Kicker. You don’t want to be starting a Kicker that’s playing in a stadium with 4 feet of snow being dumped the night before/morning of. Chances are he won’t even get an XP attempt and hand you a big fat donut. Researching team and player statistics will also consume time on a weekly basis. This can become overwhelming but knowing the difference between arbitrary stats vs. relevant stats will help save some time. Understanding the underlying factors for the what and the why about stats will help weed out the arbitrary ones. Research Vegas spreads and game totals or over/under (o/u). Knowing this may help in projecting scoring potential. For example, for week 12 2014, the highest game total on the board is Jacksonville @ Indianapolis at 50.5 points. This game would project as a high scoring affair so many players will be looking to add Colts players and maybe some sleeper garbage time players for the Jags anticipating the result meets or exceed the Vegas total. This particular game also happens to have the largest spread on the board, Indy -14. Evaluating the spread may also help in projecting game flow for particular players. For example, there were at least three instances so far in 2014 where Aaron Rodgers and Jordy Nelson were pulled at the end of the 3rd quarter in blowout wins. As we all know, everything in the NFL is about matchups. Knowing about a particular player’s matchup vs. the current week’s opposition will be one of the key deciding factors on who makes a lineup or not. For example, is Randall Cobb going up against Darrelle Revis or Antonio Allen? Is DeMarco Murray going against Detroit or Oakland? The difference between season long leagues where you have every week starters, changes with DFS strategy as weekly matchups will dictate a particular player’s scoring potential vs. price. You should know about your players in play as well as their opposition. These are some basic strategies to consider in developing your game. Over time, you will become a better and more efficient player as you fine tune your game. Enjoy the grind and good luck!